Struggling with an Eating Disorder and lost hope? 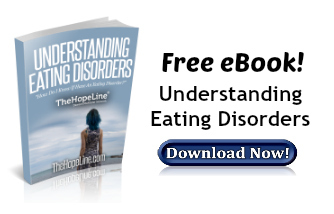 Bible verses of hope to help you cope and understand Eating Disorders and God’s love for you. Psalm 139:14 – I praise you, for I am fearfully and wonderfully made. Wonderful are your works; my soul knows it very well. 1 Corinthians 6:19-20 – Or do you not know that your body is a temple of the Holy Spirit within you, whom you have from God? You are not your own, for you were bought with a price. So glorify God in your body. Romans 12:1 – I appeal to you therefore, brothers, by the mercies of God, to present your bodies as a living sacrifice, holy and acceptable to God, which is your spiritual worship. Matthew 6:30 & 34 – And if God cares so wonderfully for flowers that are here today and gone tomorrow, won’t he more surely care for you, O men of little faith? So don’t be anxious about tomorrow. God will take care of your tomorrow too. Live one day at a time. Philippians 4:6-7 – Don’t worry about anything; instead, pray about everything; tell God your needs, and don’t forget to thank him for his answers. 7 If you do this, you will experience God’s peace, which is far more wonderful than the human mind can understand. His peace will keep your thoughts and your hearts quiet and at rest as you trust in Christ Jesus. Hebrews 4:15 – For we do not have a high priest who is unable to sympathize with our weaknesses, but one who in every respect has been tempted as we are, yet without sin. Let Us Pray for You at ThePrayerZone!